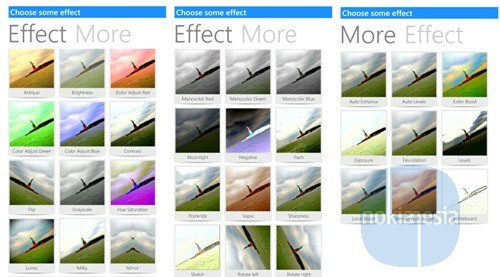 If you are looking for simple photo editing application for your Nokia Lumia with Windows Phone 8, you can download & try to using "CloudyCam" - a simple photo editing application with more than 20 effects available for free, powered by Nokia Imaging SDK. 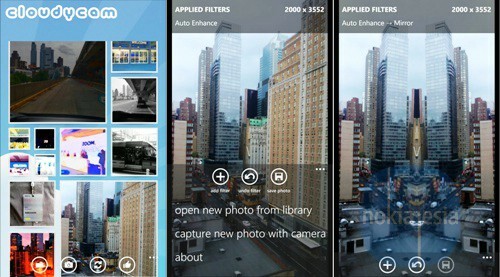 At the home page, this application will add random effect to your photos. If you want to select another photo, you can select from your gallery or take a picture and then add an effect and save it.